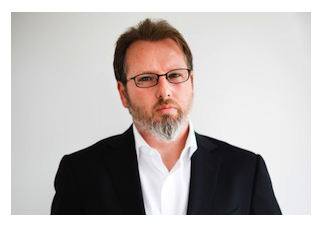 Zoopla CEO Alex Chesterman said its new competitor Agents' Mutual could alienate consumers. 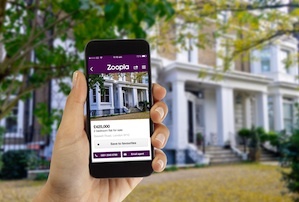 The potential threat of a disruptive new competitor failed to rain on Zoopla’s parade today as the property website posted strong annual results. Revenues were up 24% to £80.2m and EBITDA soared 35% to £39.6m in the year to September. There is a speck of potential trouble on the horizon though. Along with its key competitor Rightmove, Zoopla faces the prospect of a determined new entrant to the market. Agents’ Mutual - known online as OnTheMarket.com - was formed by disgruntled estate agents unhappy with what they see as an unfair ‘duopoly’ controlled by the two larger portals which has pushed up the cost of advertising. The group claims to have signed up as many as 4,000 estate agent branches out of 19,000 in the UK. Speaking to analysts this morning Chesterman acknowledged that it was difficult to forecast what the impact of the new portal might be, given that there are many details still to emerge, but said Zoopla has seen ‘no discernible increase in churn’ ahead of the launch, which is currently scheduled for January 26th. ‘What we do know is what it takes to be successful in this space,’ he said. ‘You need to have a whole-of-market inventory, which the leading portals [Rightmove and Zoopla] have. You need to have a world-class platform with a very rich feature set, which we’ve invested tens of millions of pounds over multiple years in developing. Chesterman also warned that the new competitor could damage agents’ relationships with their customers. Agents’ Mutual members will only be allowed to sign up to one other portal, effectively forcing most of its estate agents to choose between Rightmove and Zoopla. ‘A proposition like Agents' Mutual, which contains restrictive marketing rules and prevents an agent doing the best possible job that they can do for a consumer is only going to serve to alienate consumers from those agents that sign up to Agents' Mutual, and those agents are going to suffer as a result,’ Chesterman said. In response Ian Springett, chief executive of OnTheMarket.com, told MT the new venture would be 'injecting much-needed competition' into the market and that its larger competitors would lose business as the portal grows. Grab some popcorn, this spat is far from over.